11 Sep 2014 – Gavin McIntyre was being treated at the Royal Edinburgh Hospital in Morningside when he disappeared at around 11am on Thursday. Gavin McIntyre was being treated at the Royal Edinburgh Hospital when he disappeared. A patient has gone missing from a psychiatric hospital in Edinburgh. Gavin McIntyre was being treated at the Royal Edinburgh Hospital in Morningside when he disappeared at around 11am on Thursday. The 35-year-old is considered to be a danger to himself and members of the public are advised to call police and not to approach him if they spot him. Mr McIntyre is 6ft 2in, has a noticeable scar on his chin, shoulder length silvery brown hair and was wearing a brown jacket, dark grey trousers and grey or black hiking boots. Anyone who sees Mr McIntyre is asked to contact Police Scotland on 101. Feedback: We want your feedback on our site. If you’ve got questions, spotted an inaccuracy or just want to share some ideas about our news service, please email us on web@stv.tv. Gavin McIntyre was last seen at the hospital in Morningside at 9am on Wednesday. 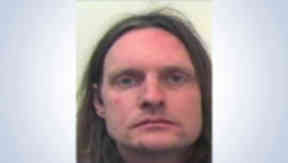 A vulnerable man has gone missing from a psychiatric hospital in Edinburgh. Gavin McIntyre was last seen at the Royal Edinburgh in the Morningside area of the city at 9am on Wednesday. The 36-year-old has not been seen since and does not have access to medication he needs. He owns a boat, named Sheer Madness, which is believed to be berthed in the south of England and has connections to London. Inspector Stephen Rosie said: “Gavin is vulnerable due to current health issues and requires regular medication, which he will now not have access to. Gavin and Sam McIntyre have not been seen since Friday and may be on a boat in London. A vulnerable man and his wife have gone missing from East Lothian. It is thought Gavin McIntyre, 35, and his wife Sam may have travelled to London to be on their boat. It was moored on the Rive Lee in Stratford near to the Olympic Park and the couple may be on it. Mr McIntyre was last seen leaving the Royal Edinburgh Hospital at 11am on Friday. He has not returned home and his wife has not been seen since Friday either. Mr McIntyre is white, 6ft tall, of slim build, blue eyes, shoulder-length fair hair, a goatee, moustache and vertical scar on the right side of his lip. He was last seen wearing a brown anorak, grey trousers, purple woolly hat and black and red Adidas trainers. Mrs McIntyre is 5ft 5ins, with long black hair and is of a slim build. Chief Inspector Chris Scobbie said: “There has been no sighting of Gavin or Sam since Friday morning and we are keen to trace them as soon as possible and ensure they are safe and well. Anyone with information is asked to contact Police Scotland on 101 or through Crimestoppers on 0800 555 111. A patient has gone missing from a psychiatric hospital in Edinburgh. Gavin McIntyre was being treated at the Royal Edinburgh Hospital in Morningside when he disappeared at around 11am on Thursday. The 35-year-old is considered to be a danger to himself and members of the public are advised to call police and not to approach him if they spot him. Gavin McIntyre was being treated at the Royal Edinburgh Hospital in Edinburgh when he went missing. A patient who went missing from a psychiatric hospital in Edinburgh has been found. The 35-year-old is considered to be a danger to himself and members of the public were advised not to approach him if they spot him. At around 3pm, Police Scotland said they have found Mr McIntyre safe and well. Gavin and Sam McIntyre were on their boat, Sheer Madness, moored in London. A couple who went missing from their East Lothian home have been found safe and well on their boat in London. Gavin McIntyre was last seen leaving the Royal Edinburgh in the Morningside area of Edinburgh on Friday. The 35-year-old and his wife Sam travelled south and were found on their boat Sheer Madness. The public were thanked for their help in finding the couple. It is thought Gavin McIntyre, 35, and his wife Sam may have travelled to London to be on their boat, called ‘Sheer Madness’, which was last seen moored at the Old Ford Lock, near the Olympic Stadium, on Tuesday 6th January. Anyone who believes they have seen this boat, or who has information as to Gavin and Sam’s current whereabouts is asked to contact police immediately. 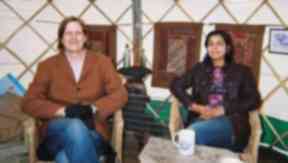 A vulnerable man and his wife have gone missing from East Lothian. It is thought Gavin McIntyre, 35, and his wife Sam may have travelled to London to be on their boat. It was moored on the Rive Lee in Stratford near to the Olympic Park and the couple may be on it. Download:The STV News app is Scotland’s favourite and is available for iPhone fromthe App storeand for Android fromGoogle Play. Download it today and continue to enjoy STV News wherever you are. Missing couple Gavin and Sam McIntyre have been found safe and well.